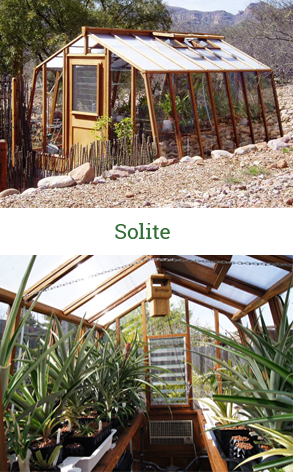 See a video of a few of our bay area greenhouses. 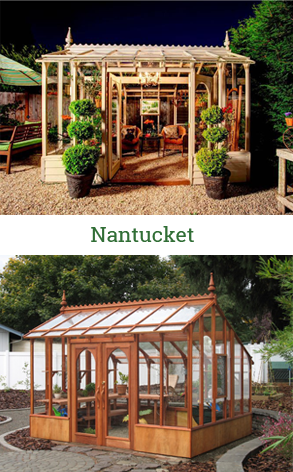 Sturdi-built has been supplying high quality Redwood and Glass Greenhouse Kits to the San Francisco Bay area for over 45 years. We craft our redwood greenhouses using American grown and made materials in our factory in Portland, Oregon. 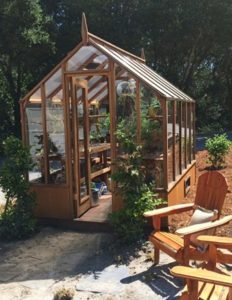 Our hobby greenhouses are made from the finest redwood available – All Clear Heart Redwood, grown and harvested using sustainable practices, in Northern California. 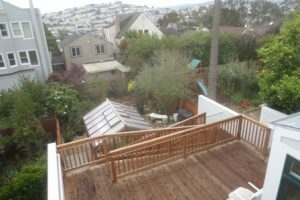 The San Francisco Bay Area is blessed with a mild climate, ideal for most outdoor gardening. 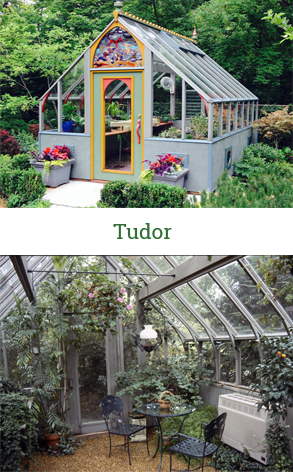 For overwintering tender plants or when gardeners develop a hobby that requires a different climate, a greenhouse becomes necessary. Unique plants such as orchids, tropical plants or succulents need a different growing environment. 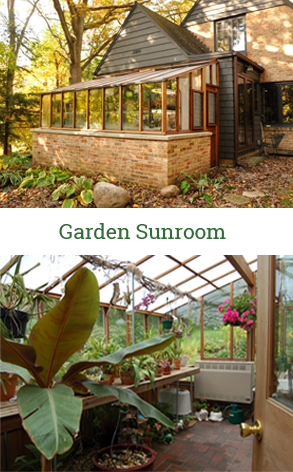 Growing vegetables in the greenhouse year round also needs a different environment. These specialty growers need the control offered by a greenhouse. 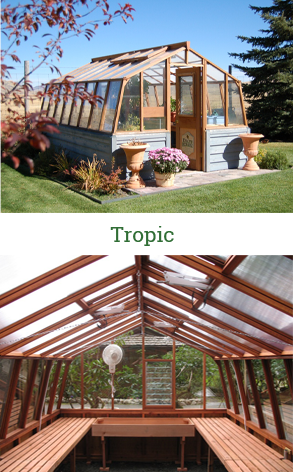 Redwood greenhouses are more energy efficient than aluminum. Redwood is rot resistant and durable, excellent for withstanding the high humidity levels required by orchids or other Tropical plants. Redwood versatile, easy to add hooks for hanging plants, lights and shelves. This greenhouse is in Hillsborough CA. Our standard glazing is regular strength window glass. We also offer optional exterior glazings including double strength or tempered glass, and twin wall polycarbonate. Twin wall is a popular option because it is energy efficient and helps to diffuse sunlight, which is good for orchids. 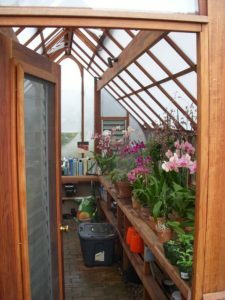 Twin wall is a nice option for the San Francisco Bay area because it offers sun protection on hot summer days and helps retain heat during cooler periods.These orchids love the diffuse light in this greenhouse glazed with twin wall. 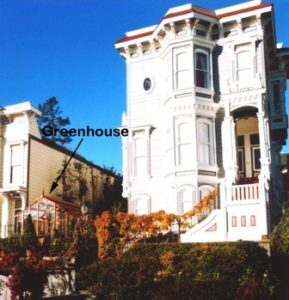 There are Sturdi-built greenhouses all over the San Francisco Bay area with customers in San Francisco, San Mateo, Hillsborough, Berkeley, Los Altos Hills, Woodside, Los Gatos, Half Moon Bay, San Rafael, Walnut Creek, Lafayette, Orinda, Danville and many more. There are a few experienced installation contractors in the area. 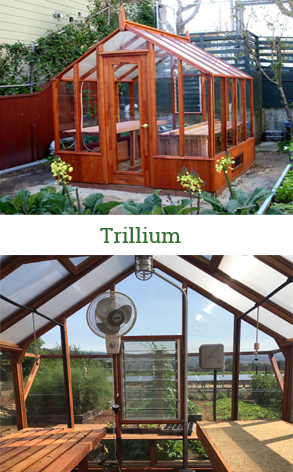 However, this Trillium greenhouse in Los Altos Hills was a terrific DIY project. 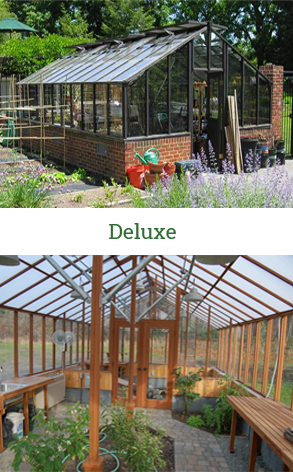 Sturdi-built Greenhouse Manufacturing is a small, family business, built on providing customized service before, during and after the sale. 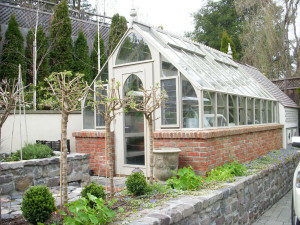 It is important to us that you love your greenhouse and we work hard to make that happen. Call us to discuss your plans, 1-800-334-4115 or email (Office hours are 8am to 5pm, M-F Pacific coast time) We provide personal, individual service for each of our customers. 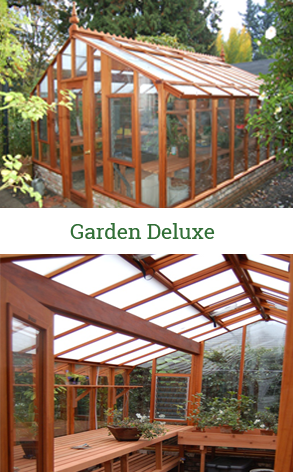 A beautiful Sturdi-built redwood greenhouse will give you years of gardening enjoyment.